The idea of ragged schools was developed by John Pounds, a Portsmouth shoemaker. In 1818 Pounds began teaching poor children without charging fees. Thomas Guthrie helped to promote Pounds' idea of free schooling for working class children. Guthrie started a ragged school in Edinburgh and Sheriff Watson established another in Aberdeen. Britain. Wealthy individuals such as Angela Burdett-Coutts gave large sums of money to the Ragged Schools Union. This helped to establish 350 ragged schools by the time the 1870 Education Act was passed. Over the next few years ragged schools were gradually absorbed into the new Board Schools. The Ragged Schools were charitable schools dedicated to the free education of destitute children. The movement started in Scotland in 1841, when Sheriff Watson established the Aberdeen Ragged School, initially for boys only: a similar School for girls opened in 1843, and a mixed School in 1845. From here the movement spread to Dundee and other parts of Scotland, mostly due to the work of the Rev Thomas Guthrie. 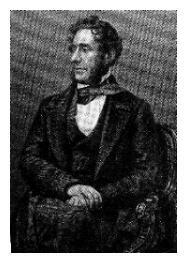 In 1844, the movement spread to England, with the establishment of the London Ragged School Union under the chairmanship of Anthony Ashley Cooper, 7th Earl of Shaftesbury. Cooper was president for 39 years, in which time an estimated 300,000 destitute children received education. At the zenith of the movement, there were 192 Schools, with an average attendance of 20,000 pupils. As well as giving very elementary education, the Ragged Schools engaged in a wide variety of social welfare activities such as running Penny Banks, Clothing Clubs, Bands of Hope, and Soup Kitchens. However, despite their alternate name of Industrial Feeder Schools, only 3 Ragged Schools gave trade instruction, the only form of education for which Government grants were available. With the advent of the board schools as a consequence of An Act to provide for Elementary Education in England and Wales [9 August 1870], the curricula of which did qualify for such grants, the number of pupils at Ragged Schools gradually declined. Tens of thousands of children are in our schools who are, I regret to say, grossly ignorant and utterly uninstructed, and the only thing we can do is to look to their cleanliness and give them habits of order and promote their regularity of attendance...with good schools and most efficient teachers...the results are sure to follow"
John Pounds was born in Portsmouth on 17th June 1766. His father was a sawyer in the royal dockyard and when was twelve years old, his father arranged for him to be apprenticed as a shipwright. Three years later John fell into a dry dock and was crippled for life. Unable to work as a shipwright, John became a shoemaker and by 1803 had his own shop in St. Mary Street, Portsmouth. While working in the shop, John began teaching local children how to read. His reputation as a teacher grew and he soon had over 40 pupils attending his lessons. Unlike other schools, John did not charge a fee for teaching the poor of Portsmouth. As well as reading and arithmetic, John gave lessons in cooking, carpentry and shoemaking. John Pounds died in 1839. After his death, Thomas Guthrie wrote Plea for Ragged Schools and proclaimed John Pounds as the originator of this idea. Guthrie started a ragged school in Edinburgh and Sheriff Watson established another in Aberdeen. Lord Shaftesbury formed the Ragged School Union in 1844 and over the next eight years over 200 free schools for poor children were established in Britain. Lord Shaftesbury was one of the founders of the Ragged Schools Union and was its president for 40 years. The ragged school movement grew out of a recognition that charity, denominational and dames schools were not providing for significant numbers of children in inner-city areas. Working in the poorest districts, teachers (who were often local working people) initially utilized such buildings as could be afforded - stables, lofts, railway arches. There would be an emphasis on reading, writing and arithmetic - and on bible study (the 4 ‘R’s!). This mix expanded into industrial and commercial subjects in many schools. It is estimated that around 300,000 children went through the London Ragged Schools alone between the early 1840s and 1881 (Silver 1983: 20).